Meet Jordan: a mom of phenomenal strength and grace. She has been in my life for almost 10 years and I can definitely say my world has been enriched and enlivened because of her. I have seen our relationship change through our different stages of life: We've been acquaintances, teammates, coworkers, and now I have the privilege to be a mom right beside my dear friend. 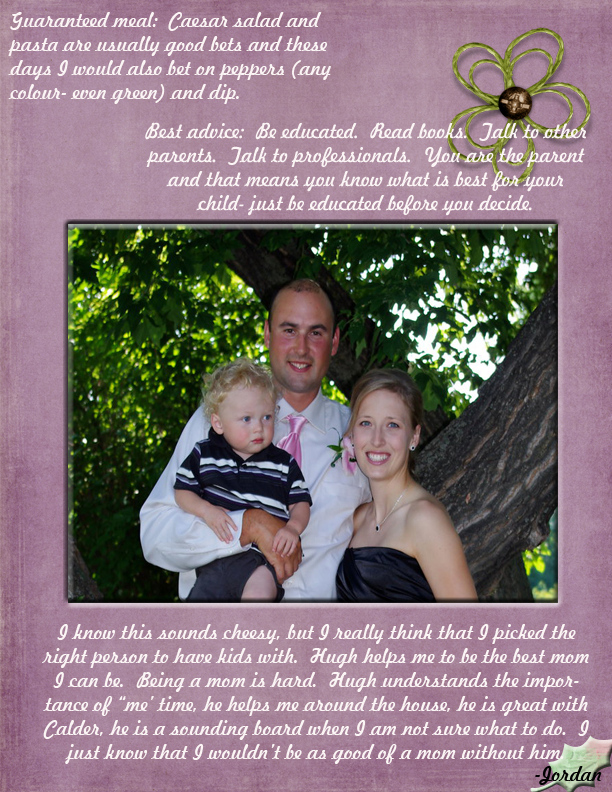 Recently, Jordan and her husband, Hugh experienced a loss no parent ever wishes to endure. 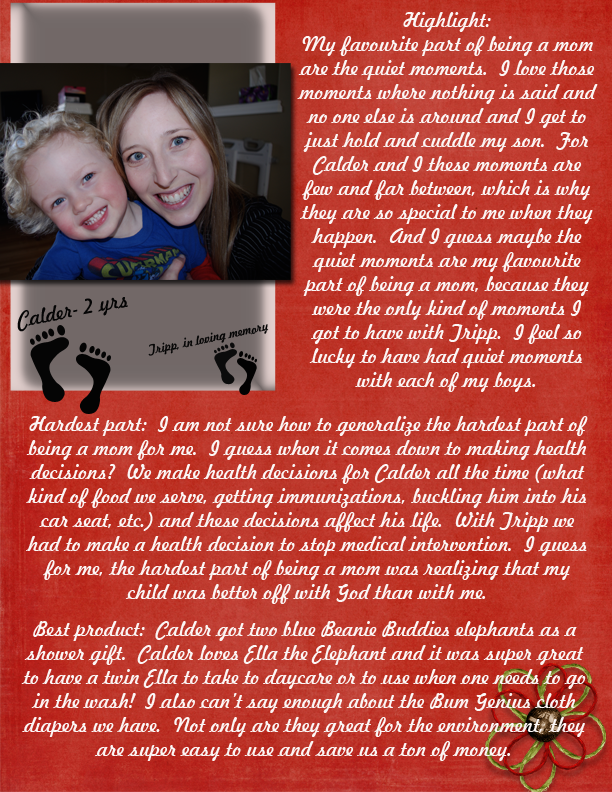 She said goodbye to her sweet baby boy, Tripp and has done so publicly, living out her emotions on her blog. It is a heart wrenching story, but her words provide strength and comfort to anyone who follows her. I admire her ability to recognize situations as they are and put everything out on a plate. Emotions are never hidden with Jordan. I enjoy her company. I can chat with her but can also easily fall into solitude with her and not feel like I need to talk. I am thankful for her willingness to share her journey with us daily. I learn something from her everyday. I think other moms would benefit from her laughter. Regardless how I feel, if she's laughing, I know it's genuine and that always makes me happier. i like the way you talked about hugh's contribution - it's true it's easier to be a better mom when you have a husband to support/back you up and make you feel you are pretty darn special!